In the Telangana town of Nizamabad, there is an ancient temple dedicated to the powerful Lord Shiva. 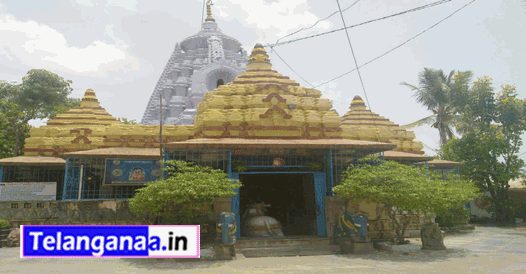 It is the Neela Kanteshwar temple. The temple attracts a large number of devotees coming from different corners the state and the district. This famous temple was constructed for the Jains by the Satavahana king, Satakarni-II. The structure has a lot of resemblance with the North Indian Architectural style. The festival of Ratha sapthami is an annual event celebrated on a grand scale with a lot of pomp in this temple. It is revered shrine located on a beautiful hillock. It is located in an area called Kanteswara colony of Nizamabad town which is also to a big church as well as a mosque that bears striking resemblance to Charminar of Hyderabad. The deity Lord Shiva gains the name of Neela Kanteshwar due to the presence of blue throat. Nizamabad can be reached easily by road from Karimnagar, Adilabad, Warangal, Hyderabad city and Nanded in Maharashtra. Kanteshwar is located at a distance of nearly 3 km from Nizamabad town and is easily accessible by road. Tourists can avail of the hotels and dining facilities available in Nizamabad town.